It may look intimidating, but really, a juicy steak isn’t that difficult to achieve. If you have limited time and ingredients, not to worry for you can still satisfy that meat craving. Here are 5 easy steps on how to make that delectable steak that’s perfect for the holidays, weeknights, special occasions, and everything in between. This is your time to shine—and the moment to impress that woman. According to Pat, the secret to a great steak starts with the perfect portion. “When you've got a quality piece of meat, you don't have to do complicated cooking techniques and even use extravagant sauces,” he explains. Simplicity is still key: no-fuss steak. -The fat will turn into juice; “Not blood,” Patrick clarifies. Wait until the grill’s nice and super hot. “You want that grill to be like hell. 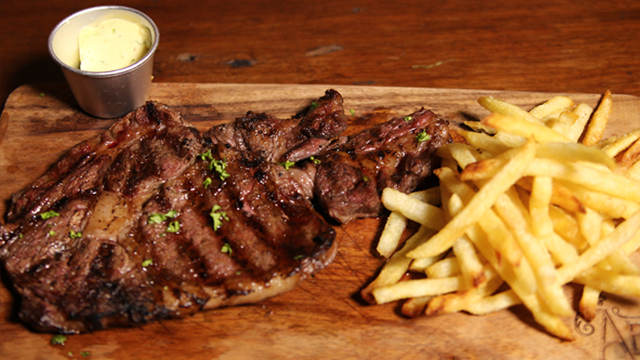 You gotta crust up the outside of this steak so that the juices stay inside,” Patrick says. “We’re doing a medium-rare steak here, so we’ll just grill it fast,” he notes. After grilling one side for not more than a minute, cover the steak. Do the same on the other side. Once cooked to your liking, rest the steak on a plate that can soak all the lovely juices for about five minutes.